I decided to offer another chance for a Pattern Maker CD this week. I think these are so cool and useful! (I will offer something different next week - just for a change!) So, if you missed out before, try again! 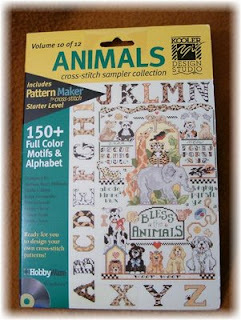 Leave a comment on this post to be entered to win a Pattern Maker for Cross Stitch Starter Level CD which includes 150+ motifs and alphabet from Kooler Design Studio. (Same design software as before, but with a different collection of pattern motifs.) I'll announce the winner next Sunday evening (December 7, 2008) so be sure to check back to see if your name was drawn. The winner will need to contact me with their mailing address so I can send it on its way. Please include me in the draw. I'd love to start creating something myself. Please include me in your drawing, thank you! I would like to try my luck in your draw. One more chance :-) Please, put my name in the draw list. yes, yes, yes : count me in ! 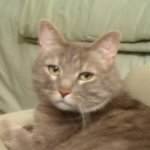 I would love to enter your drawing! Count me in please and thank you. A big thank you for giving these away; very nice! I am in again! Thanks for the give-a-ways! Wonderful! Please include my name. Thanks! Please enter me into the drawing. How fun to try and create my own designs. Animals, I love this one. Please sign me up again for this one. Thanks so very much for the chance. PLease include my name in your drawing. Thanks so much. Oh now I really like the animals. Count me in! These are so cute! Please enter me in the drawing. Thanks for offering this! I , too, would love to be including in this drawing of yours-- You're so wonderful to offer cool prizes for free ... as if the free charts aren't enough!! Please count me in! Very Cute! How nice of you to offer this. Nice! Please include my name in your drawing. Thank you!! Well, 3rd time is the charm, right? So, include me in the drawing please! This would be so cool to have. Thanks for the contest. 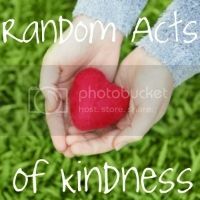 This is a new blog for me and I'm enjoying looking through all the things on it. I would like to try my luck in your draw too. Please include me. Thank you. I would love to start designing.